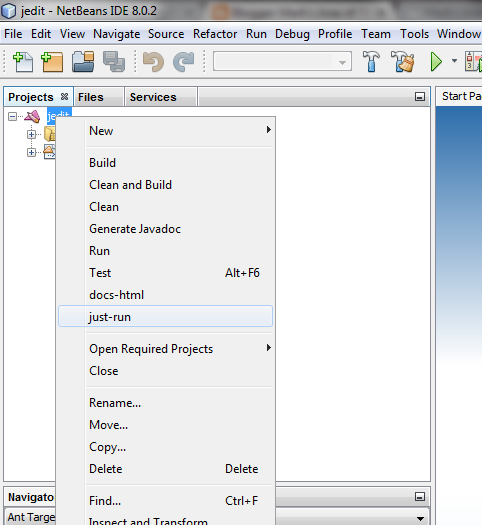 I will show you how to setup the jEdit 5 source code as a NetBeans 8.0.2 free-form project so you can compile it and do whatever you like with it. 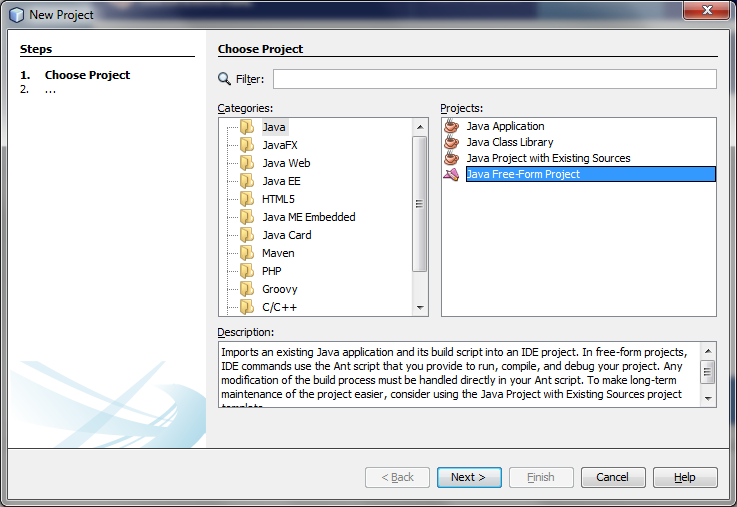 You should have NetBeans 8.0.2 properly installed along with JDK 1.8.0_31. 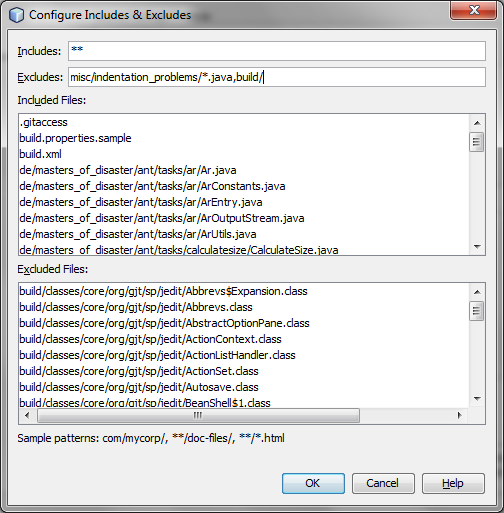 Apache Ant 1.9.4 is required and is included with NetBeans 8.0.2. 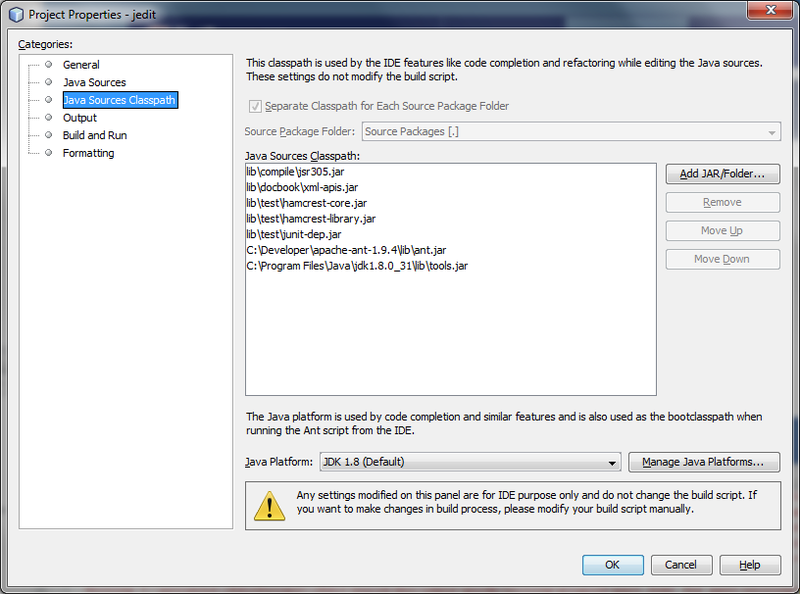 You may also use an external installation of Apache Ant 1.9.4 or higher. 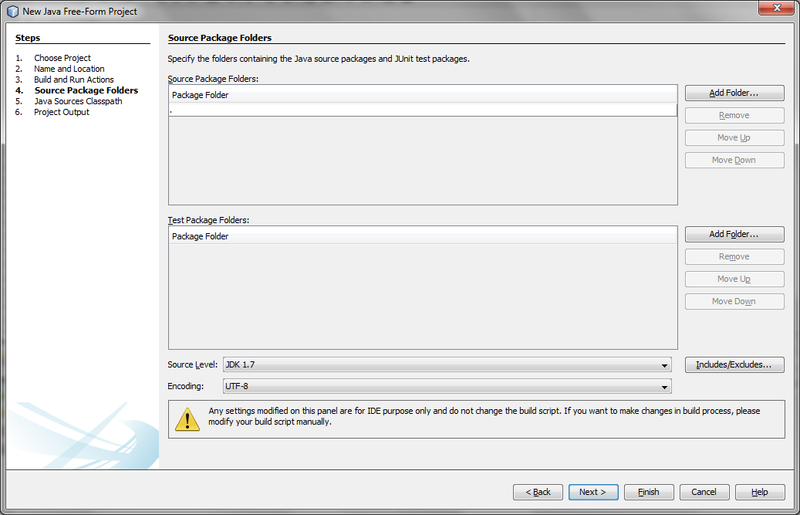 In this example, we are using an external installation of it. 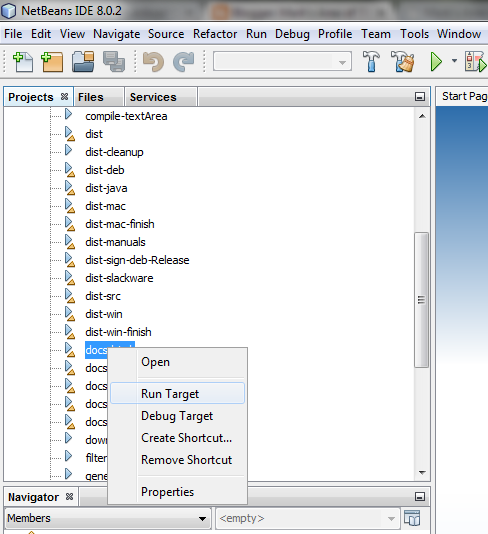 In either case, the path to your Ant installation must be in your system path. 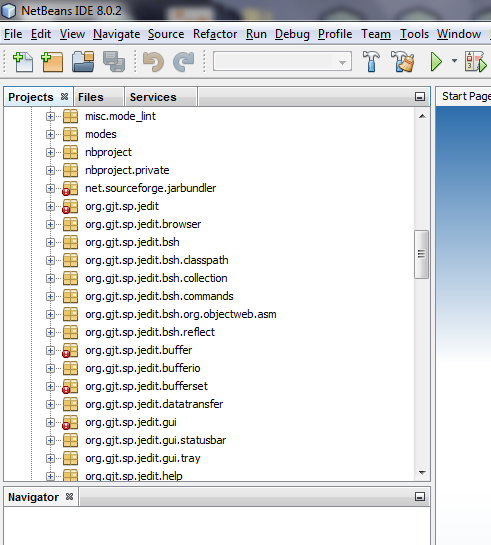 Download the jEdit source code from the jEdit website. 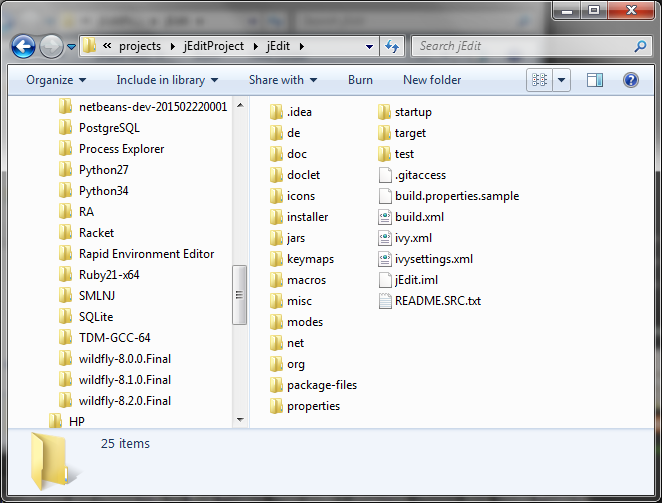 Create a new project folder called "jEditProject " or whatever name you would like to call it. 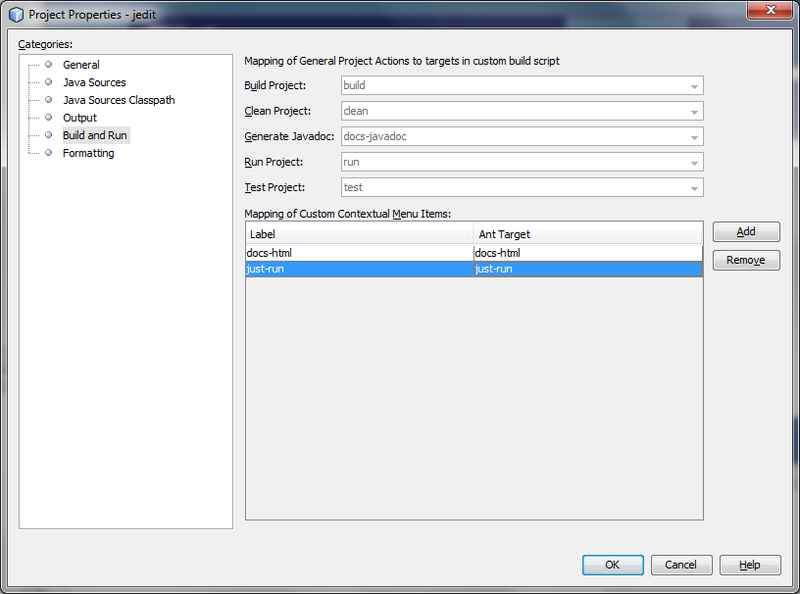 Click the Next button and in the next dialog box, set the "Location" to be the folder you extracted from step 2. 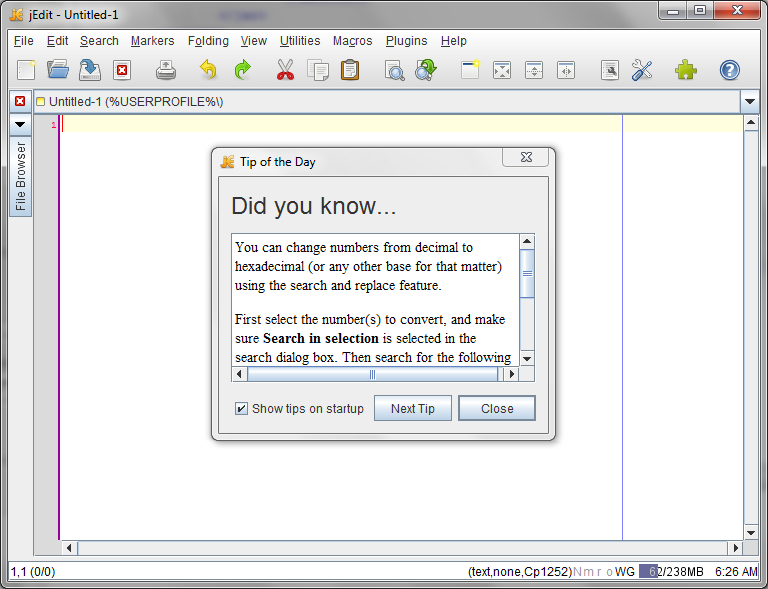 The other fields will populate automatically. 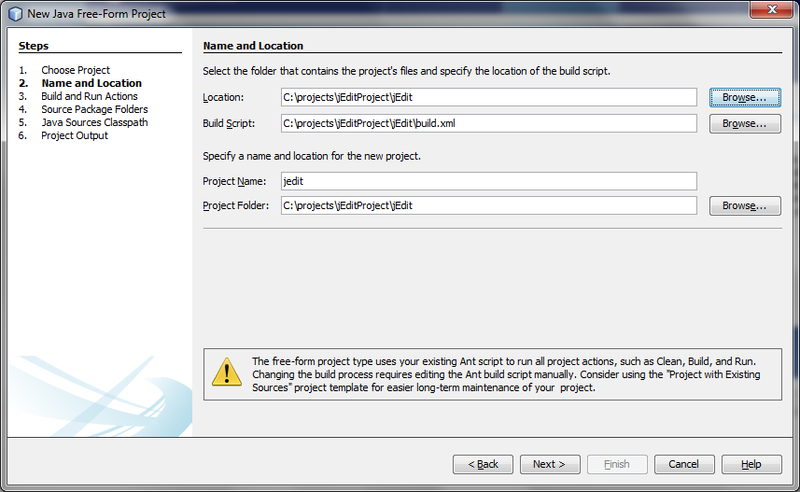 Next, right click on the project name and choose "Build" and dependencies are downloaded and the project is built. There should not be any error badges now. 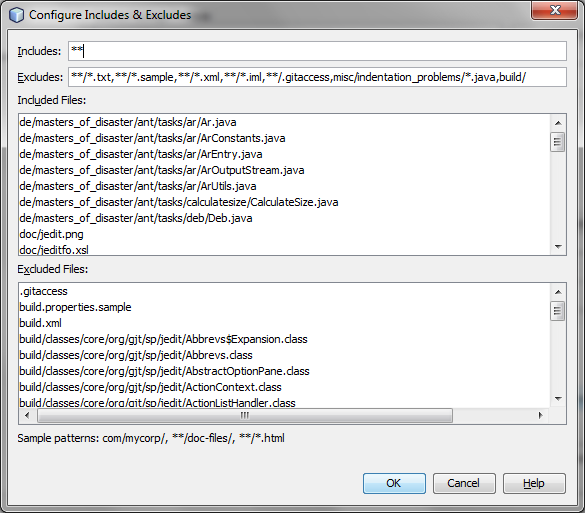 If so, you may need to add more libraries to the classpath. 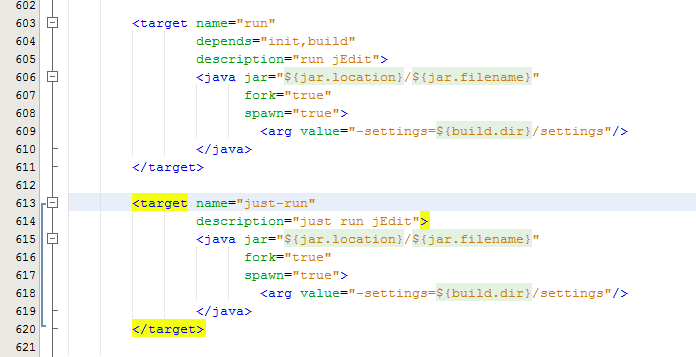 Now you can run jEdit from the new menu item "just-run."